Looking to experience the great outdoors with greater comfort? Try Glamping, a luxury form of camping with the convenience of facilities you would expect to find in hotel or cottage accommodation. No more wet tents, cold ground sheets and dampened spirits as now there is Glamping! It's the new-age way of holidaying, mixing all the rural aspects of camping with the comfort and amenities of a stay in a Hotel or Holiday Cottage. It is brand new kind of holiday accommodation which is defined as glamorous camping. This is becoming a very popular way of Holidaying as it is so cheap and easy to do.There are many different ways to go Glamping such as Yurts, VW Camper Van's, Gypsy Carvans, Airstream Caravans, Octo/Micro Lodges, Safari Tents, Tipi's, Wigwams, Shephard Huts etc. 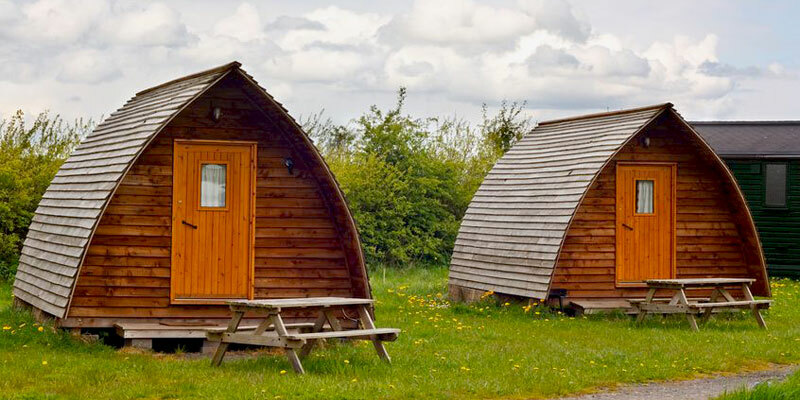 Many glamping sites have electrical power, which means while camping in the great outdoors you can operate appliances, lamps and mobile phones. Glamping Holidays are ideal for family holidays, special occasions and romantic getaways!